At this time last year, I was huddled up in my little one bedroom house, feverishly feeding the wood stove as I constantly battled the below zero temperatures outside. That was my third winter in Wyoming. This year has been a year of change for me. Currently, I'm sitting in Bellingham, Washington, having spent my New Year's Eve within view of the Pacific Ocean, standing around a fire pit with friends. Thinking about it last night, I had to smile because I have now spent New Year's Eve in the middle of the country (Kansas), the far east coast (Times Square in New York City), and now the far west coast. I've been very fortunate to travel throughout my life, and this year was no different. Perhaps, this year was an even better travel year than in the past. The reason I spent my New Year's Eve in Washington this year is because I accepted a new full-time day job in the state of Washington, still working with endangered wildlife. Because of the move, I've had to learn a new area, search for where the wildlife are here, and learn new species of wildlife that I've never lived around before. For example, if you scroll down, you'll see some pictures of different starfish species. Needless to say, species of starfish wasn't something they really covered going to college in Kansas. So from a photography standpoint, it's been a challenging year for me trying to settle in to a new state and still find time to get out and take quality photographs. But on the other hand, the move provided me a lot of new places to explore, including the Olympic peninsula, Mount Rainier National Park, and Redwoods National & State Parks, to name a few. I've only scratched the surface of places to see here, but I think I'm going to like this new home of mine. I'm looking forward to the challenges of finding new wildlife and spending time in unfamiliar mountain ranges and parks, and I hope you'll follow me as I photograph new wildlife and all of the exciting new places I visit in the coming year. Below are some of the highlights from my year. Thank you for continuing to follow and support me through my adventures, and I hope that I can inspire you to create your own adventures, or at the very least, remind you how amazingly beautiful this world is that we live in. Here's to a safe and happy 2018! I got to stay in this treehouse! Treehouse Point, in Fall City, Washington, is a getaway like no other! My gallery at the Lander Bake Shop in Wyoming! My first year of creating calendars was a hit! As always, one of my goals is to keep improving and take my photography to the next level. So I'd love to hear your feedback - which photos are your favorites, what would you love to see more of from me? Drop me a comment below or send me an email here. 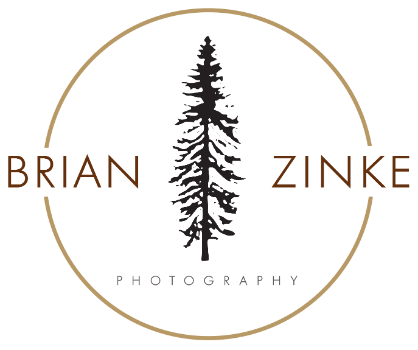 Brian Zinke - Thanks, Matt! Matt - Those mountain photos are amazing!